Elliott Burgess is a first-year master’s student in the Latin American and Hemispheric Studies Program concentrating on anthropology and geography. He received his bachelor’s degree in International relations and French and Francophone Studies from Florida International University in 2018. Elliott has a passion for language and travel. He speaks fluent English, Spanish, Portuguese and French, and has an intermediate command of Italian, Mandarin and Haitian Creole. He has lived and worked throughout the US in Ohio, Texas and Florida, as well as in France and China. Elliott has experience teaching and interpreting and has an interest in language acquisition, cultural anthropology as well as relations within the African diaspora in Latin America, specifically in Cuba and Brazil. Elliott has been to 26 countries, and in his free time, he enjoys running, photography, trying new foods and singing in different languages. My favorite experience at the Elliott School has been going to the Career Café and Language Lunch events, the career cafés have helped me really start thinking about where I want to take my career and to hear the experiences of others like Dean Brigety and how he got started in his career have really helped me in thinking about what my next steps will be. I also enjoy the Language Lunches because not only do I get to practice my language skills, but I have met some wonderful people through them as well! What courses have you found most helpful in your work/intern/volunteer experiences and how have they been useful? (Haven’t worked? 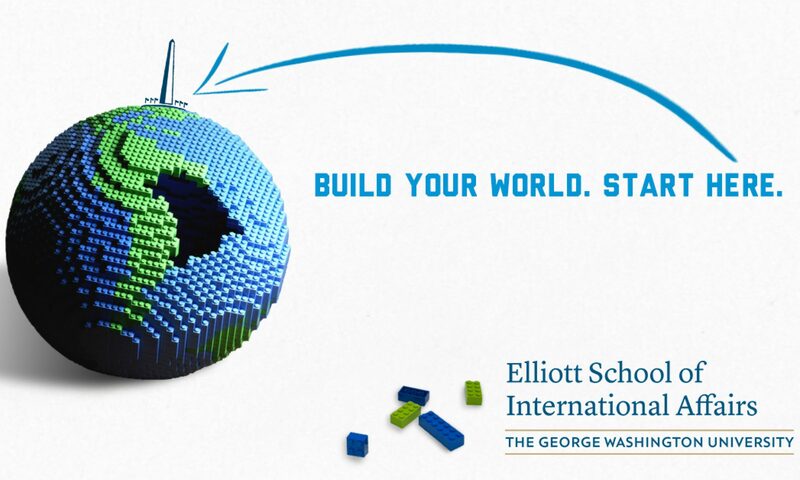 Answer this: Describe your dream job and explain how the Elliott School can help you get there? One of my dream jobs is to work as a language analyst for either the FBI or CIA. What I’ve learned through meeting with so many recruiters from these agencies is BLUF (Bottom Line Up Front) and this writing technique is definitely one that needs practice, especially for someone like me who has a background in blogging and journalism. One course that I am taking this semester with Jenna Ben-Yehuda is called “Security in the Americas” and through this course, I’ve really learned how to master this technique of putting the main ideas up front, and cutting out most of the fluff in my writing, and I am hoping to one day be able to take this skill to briefs at the CIA or FBI. One of the resources that I have really taken advantage of at the Elliott School is the career coaches, as well as my academic advisor. I can’t tell you how much they have helped not only in regard to my resumé but also in finding internships abroad and helping me secure my place studying abroad in Rio de Janeiro this upcoming semester! I would say talk with current students. I think who better to tell you about the atmosphere and course load, then current students. From my experience, current students are also a lot more candid and can give you a very real look into how your experience might be. I also would recommend going to orientation and other events for prospective students, because having gone to my orientation back in April before enrolling, I not only got so much information about the school and my program, but I also got to meet other prospective students who have become close friends. I think everyone should visit Beijing, China! I had the opportunity to do an internship in China this past summer, most of which I spent in Inner Mongolia, but after I finished, I went to Beijing for a few weeks and the city is surreal. There is so much culture, and Beijing definitely has an interesting vibe where ancient architecture meets art, mass surveillance and technological advancements. I would also like to highlight that Beijing street food is some of the best in the world with anything from fried crab legs to roasted cicadas and fried tarantulas available for less than $5! And Not to mention, the Great Wall of China which was one of the most interesting sites that I’ve ever seen in my life! Much more difficult to climb than you would think.